Your Sponsorship is an enormous help for a successful conference and funds are applied to general, logistic and artistic operating expenses. As a reminder, ITG does not pay fees to trumpet artists and such funds will not be assigned for this purpose. •ONE HOUR SHOWCASE SESSION – This unique event will give you the opportunity to share with attendees your merchandise/artists. •Back Cover Full-page color advertisement in the Digital Conference Program Book. •Display of up to Four (4) Banners by the entrance of our performance venues and around the hotel. Note: Location to be assigned by Conference Director. Banners, Stands, and Artwork to be provided by sponsoring company. ITG is not responsible to provide these banners. 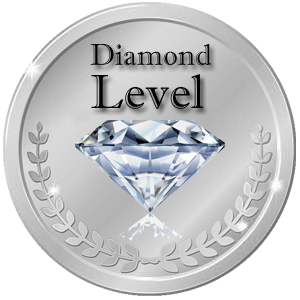 •Brand recognition as a Diamond Level Sponsor during live Web Streaming performances at the 2019 Conference. •Graphic Inclusion on our mail blast. •Company’s logo on ITG Conference promotional materials, advertisement, and conference signage throughout the year, including but not limited to the Email Blast, Flyers, and other advertisements in the ITG & Brass Herald Journals. •Company’s logo and hyperlink featured in a prominent location on the ITG Conference Website. •Verbal recognition as a Diamond Sponsor by the ITG President during the opening session and at other pertinent times throughout the program. •Up to five (5) additional complimentary registrations. •Inside Front Full-page color advertisement in the Digital Conference Program Book. •Display of up to three (3) Banners by the entrance of our performance venues and around the hotel. •Brand recognition as a Platinum Level Sponsor during live Web Streaming performances at the 2019 Conference. •Company’s logo on ITG Conference promotional materials, advertisement, and conference signage throughout the year, including but not limited to the Email Blast, Flyers, and advertisements in the ITG & Brass Herald Journals. •Verbal recognition as a Platinum Sponsor by the ITG President during the opening session and at other pertinent times throughout the program. • Inside Back Cover Full Color Page advertisement located in the front of the Digital Conference Program Book. • Display of up to two (2) Banner by the entrance of our performance venues and around the hotel. • Brand recognition as a Gold Level Sponsor during live Web Streaming performances at the 2019 Conference. • Company’s logo and hyperlink featured in a prominent location on the ITG Conference Website. • Verbal recognition as a Gold Sponsor by the ITG President during the opening session and at other pertinent times throughout the program. • Up to three (3) additional complimentary registrations. • Full-page color advertisement located in the Digital Conference Program Book. • Display of up to one (1) Banner by the entrance of our performance venues. • Brand recognition as a Silver Level Sponsor during live Web Streaming performances at the 2019 Conference. • Company’s logo on ITG Conference promotional materials, advertisement, and conference signage throughout the year, including but not limited to the Email Blast, Flyers, and advertisements in the ITG & Brass Herald Journals. • Verbal recognition as a Silver Sponsor by the ITG President during the opening session and at other pertinent times throughout the program. • Up to two (2) additional complimentary registrations. • Full-page color advertisement in the Digital Conference Program Book. • Brand recognition as a Bronze Level Sponsor during live Web Streaming performances at the 2019 Conference. •Verbal recognition as a Bronze Sponsor by the ITG President during the opening session and at other pertinent times throughout the program. • One (1) additional complimentary registration. • Full page color advertisement in the Digital Conference Program Book. • Company’s logo on ITG Conference promotional materials, advertisement, and conference signage throughout the year, including but not limited to the Conference Program Book, Email Blast, Conference Poster and Youth Day Flyer, and advertisements in the ITG & Brass Herald Journals. • Verbal recognition as a Lanyard Sponsor by the ITG President during the opening session and at other pertinent times throughout the program. • Your company logo will solely appear on the official conference t-shirts for sale to conference attendees as well as on the volunteer t-shirts. • Full page black & white advertisement in the Digital Conference Program Book. • Your company logo will solely appear on the official conference tote bag handed out at the registration desk to all attendees and exhibitors. • Company’s logo on ITG Conference promotional materials, advertisement, and conference signage throughout the year, including but not limited to the Conference Program Book, Email Blast, Flyers, and advertisements in the ITG & Brass Herald Journals. • Hyatt and ITG would like to provide a sponsor to have coasters used at restaurants in the hotel during the conference week. Design should include both ITG and Hyatt’s logo and be approved by both. • Company’s logo on ITG Conference promotional materials, advertisement, and conference signage throughout the year, including but not limited to the Digital Conference Program Book, Email Blast, Flyers, and advertisements in the ITG & Brass Herald Journals. The College Meet & Greet event attracts over 400 college students attending the conference for the full-week. Ideal promotional opportunity to engage with the future of our business during the 2019 Conference. • Half-page color advertisement in the Digital Conference Program Book per company. • Company’s logo on ITG Conference Program Book. • Welcome message at the event. • Full-page color advertisement in the Digital Conference Program Book per company. • Company’s logo on ITG Digital Conference Program Book. • Booth visit by each volunteer throughout the week. Partnerships between conference exhibitors and ITG are encouraged. Anyone wishing to use the trademarked ITG name or logo in the promotion of their business should send a request setting out their planned use to the president, president@trumpetguild.org. Such use should include promotion of your involvement with the annual conference and also help to promote ITG. An official copy of our logo and usage guidelines will be emailed. Before production, a proof of the ad or product using the ITG logo should be sent to Michael Anderson at website@trumpetguild.org for approval.